These are the best Canon deals found by our community of bargain hunters. Every day we look for Canon price drops on Amazon, Argos and Curry's, then share them here to help you save money. 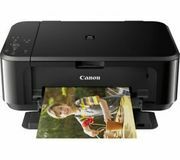 It's mostly Canon cameras but you'll also find some Canon printers (see printer deals). Whether it's a Canon DSLR you're after or a compact travel camera, have a look below and post any questions you have in the comments. Great Value - Canon All in One Printer - Almost HALF PRICE!  CANON PIXMA MG2550S All-in-One Inkjet Printer - £6 Off! If you will ask anyone who the top camera brands today, you will surely get Canon near the top of their list. Although the company’s products are not always top of the line, but throughout the years, they have created a very impressive range of digital cameras and printers as well. Canon cameras can satisfy both amateurs and professionals. The company has been regarded widely as one of the world’s leading manufacturers of cameras and lenses. When on the market for a camera, the first thing that you might do is to narrow down your choice to a specific brand or manufacturer. However, the sheer volume of digital cameras and models can be overwhelming. In fact, most would agree that selecting the perfect camera in a particular series is harder that picking which manufacturer they like best. Fortunately, Latest Deals is here to help you to exactly figure out which Canon model is best suitable for your needs and especially your budget. We have essential information about Canon DSLR range and Canon deals. You’ll find the latest cheap Canon deals, offers and voucher codes from UK retailers such as Amazon UK, Argos, Currys and more. Our team of bargain hunters are always on the lookout for price drops and great Canon deals to ensure you’ll get the best bargains and discounts both online and in-store. See how advanced technology and stunning image quality combine inside the Canon EOS 6D Mark II to capture action and create phenomenal photographs and Full HD 60p videos in numerous environments and lighting situations. The camera offers creative content manicekers a winning combination of advanced features in a portable package that’s as fun as it is powerful. If you’re after a Canon digital camera that offers the best features combined with durable built and quality as well as a guaranteed performance, opt for Canon’s 1D series. 1D X Mark II: The flagship in the series with an integrated battery grip full-size body built to withstand the usual wear and tear and any weather conditions. It offers a 20.2MP CMOS sensor, dual DIGIC 6+ image processors and an upgraded 61-point AF system. It also has a fast 16fps continuous shooting rate and 14fps with full auto-focus and auto-exposure. 5DS & 5DS R: High-res full frame format Canon DSLR available to date that offers RAW images at 50.6MP. It is optimized for maximum sharpness and clarity. The difference between the two models is that the 5DS R features a low-pass cancellation effect, which neutralizes any softening of the optical low-pass filter resulting in sharper images. These cameras also include a 61-point AF system, 3.2in LCD and large optical viewfinder. 5D Mark III: A go to choice for most photographers offering excellent quality for still images and full HD videos. It has a rather compact form and is the obvious choice for those who wants a reliable DSLR for a wide range of shooting conditions. It uses a balanced 22.3MP full frame CMOS sensor that needs less processing power. 7D Mark III: It offers a 20.2MP APS –C CMOS censor and dual DIGIC 6 image processors for capturing amazing images at up to 10fps at full resolution. It also has an expanded sensitivity of ISO 51200, 65-point all cross type AF system for still and Dual Pixel CMOS AF system in live video and view. It offesr full HD at 1080p recording at up to 60fps. 6D: This DSLR may not have all the features of the other high-end models, but it makes up with brillian image quality through its 20.2MP sensor and DIGIC 5+ processor. It offers a decent speed but delivers video and still just like the bigger 5D Mark III. It also comes with a buil-in Wifi and GPS. 70D: A lightweight camera with 20.2MP APS-C option and DIGIC 5+ processor allowing for high speed 7fps continuous shooting and low noise expandable ISO range of up to 25600. It’s the ideal advance alternative thanks to its physical controls and dials on its body, giving users a fast way to make setting changes while shooting. T6s & T6i Rebel: These models erased the line between beginners and advanced users. The T6s is the first Rebel to feature a top LCD panel and a quick control dial for setting adjustment. Aside from these, both cameras have similar specs like 24.2MP APS-C CMOS sensor, DIGIC 6 image processor and an expandable ISO sensitivity range of up to 25600. These models has a 19-point all cross type AF system and a Hybrid CMOS AF III for locking onto subjects and optimum continuous shooting rage of 5fps. T5i: A nice DSLR from canon that can still hold up to the latest models from competitors at the entry level. It has a decent 18MP APS-C CMOS sensor and the DIGIC 5 processor and a 9-point all cross type AF system. For faster live video and view focusing, it also features the original Hybrid CMOS AF. SL1: The smallest DSLR that’s best combined with Canon’s pancake lenses. It’s just like the T5i with an 18MP APS-C CMOS sensor and the DIGIC 5 processor, as well as the expanded ISO range of up to 25600. The difference is that it has a fixed 3in touchscreen and the standard 9-point AF system. Canon’s PowerShot and Ixus compact camera range are powered by the company’s innovative technology and will suit whatever your level of expertise is. Expert compact cameras: The perfect alternative or complement for your DSLR. These cameras are portable and delivers excellent performance. Bridge cameras: Their versatile bridge cameras features big optical zooms, a grip just like with their DSLR range as well as provides you with full creative control. Superzoom cameras: These cameras fit powerful zoom lenses into a super compact and yet stylish camera bodies. Point and shoot: Easy and stylish digital cameras that can fit in your pocket. You can quickly share photos and movies. Canon cameras and lenses Amazon UK deals include big discounts on Amazon Prime members. You can get discounts on a wide selection of digital cameras and lenses ranging from £10 to £100 plus you will also be eligible for free delivery. While you can get cheap Canon camera on eBay on their sale of 41% off selected models. If you want to save more, you may want to consider a refurbished camera and get a 12 months warranty on Canon reconditioned cameras. Keep in mind that to ensure you’re getting the real deal from third-party resellers, make sure to ask them for real images of the items and always read reviews and past customer feedbacks before purchasing anything from them. Canon deals on Currys are fantastic. They offer a marked price of £30 to £200 on selected digital camera models plus free delivery and a 2 year guarantee. For example, you can get a savings of £70 for Canon 750D at Currys by simply entering the code they’ve provided for the item. This sale only runs for a limited time so if you want to take advantage of the savings, you have to act fast. You can get pretty good discounts at Canon cameras Argos deals, where you can save as much as £50 on selected models. They also have Canon bundle deals and special offers where you can even get a free 1GB SD card with your purchase. Make sure to lookout for cameras marked with “Our Lowest Price” and “Great New Price” as this means that you’re getting a good bargain deal for those select cameras. EF: Wide range of telephoto, zoom, wide angle and specialist lenses to suit all budgets and applications. Zoom lenses: Spanning over a complete range of focal lengths via standard and telephoto zoom options. Wide zooms cover from 8-15mm to 17-40mm ranges, while telephoto comes in numerous ranges with spanning focal lengths from 28mm to 400mm. Wide angle: Standard and fixed-length wide angle lenses covering the 14mm to 35mm range. Standard and medium length: Usually ideal for general use and portrait photography spanning the 40mm to 100mm range. Telephoto or long focus: Covers the 135mm to 800mm focal lengths. The longest is perfect for wildlife photography. Specialist: This range includes a pair of shift and tilt models, normally used by pros for correcting converging verticals in building photography and also micro lenses for close-up work. EF-S: This range comes with 10 models and comprises more of zoom lenses spanning 10-22mm up to 55-250mm. EF-M: The most limited in the range of Canon lenses with only one 22mm wide-angle lens and a 18-55mm zoom lens.